It may seem hard to believe, but October not only brings out tiny ghosts and goblins to our front door, but also celebrates the antithesis of sugary confections – National Dental Hygiene Month. 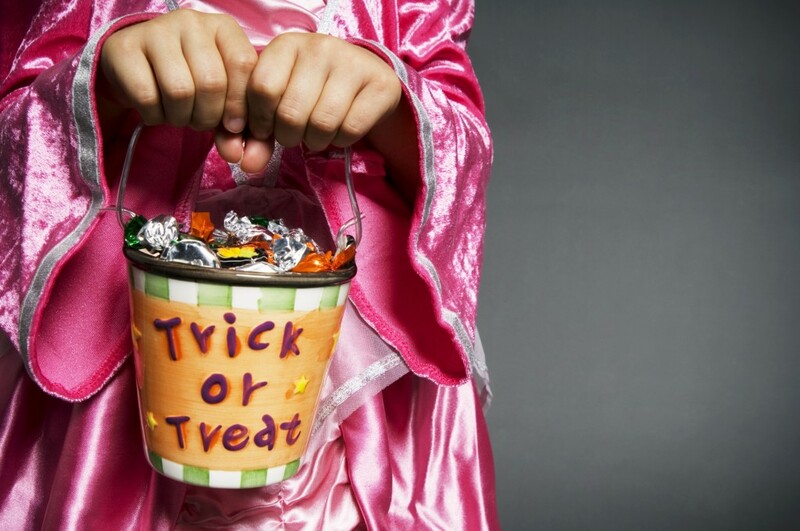 With this conundrum in our midst, let’s focus on how to keep our teeth healthy while we enjoy our Halloween treats. After all, creating good dental habits will only prevent bad news during your next appointment. Practice proper oral hygiene. First thing’s first – if you want to keep your smile looking healthy and bright, be sure to brush twice a day for two minutes each session with a soft-bristled toothbrush, floss at least once a day and use a good fluoride mouthwash. Round that out with regular dental checkups and you are on the right track to a great smile for a long time to come. Keep it out of your mouth. Chewing on things that do not belong in your mouth is never a good idea. Not only can you chip of crack a tooth, but you are slowly wearing your teeth down. Instead of an ice cube, chew on sugar-free gum. 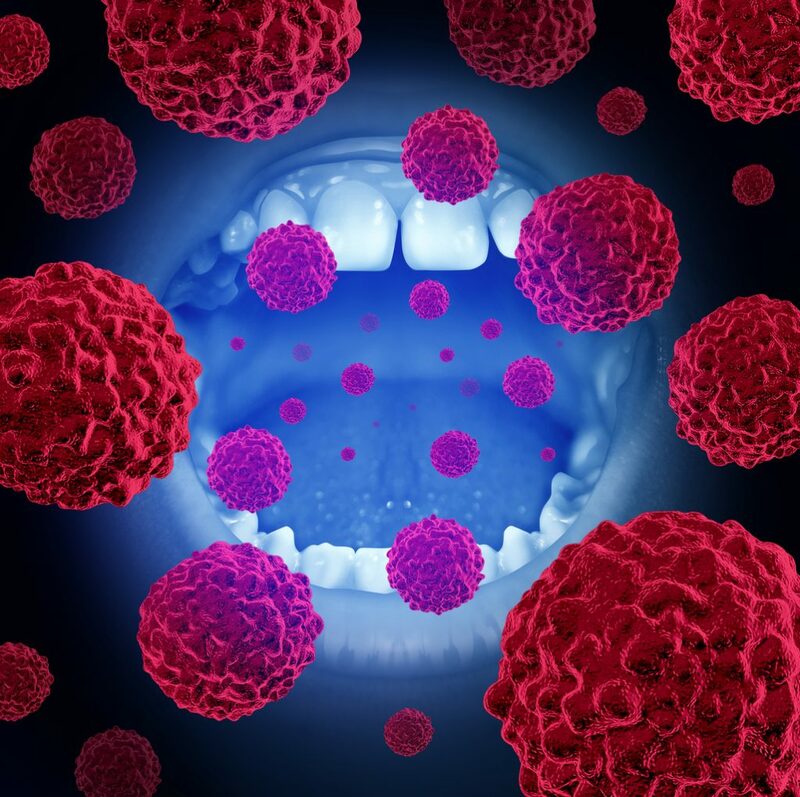 The saliva production you create will keep away cavity-causing bacteria. Kick your smoking habits. If you ever needed another excuse to kick the habit, keeping your smile bright and shiny should be the main one. Not only are your teeth prone to staining, but smoking can also lead to mouth cancers and other harmful health issues. October is a spooky time that everyone loves to celebrate. Keep the haunts out of your mouth with these simple dental tips. While it is important to know that poor dental care is linked to heart disease, as well other health maladies, it is also important to know that you are practicing proper dental hygiene. Here is a quick rundown of the basics. Practice them and your next dental visit will be a smooth one. Brush twice a day for at least 2 minutes, making sure you spend 30 seconds on each quadrant. A few straight strokes won’t get the job done. Position the handle of your brush so the bristles point at a 30- to 45-degree angle when they touch your gum tissue. Rotate your wrist in a circular motion to effectively remove the plaque. When you move behind your front teeth, you should turn your tool vertically to better reach the entire tooth. And make sure to give special attention to the back of your mouth, since that area normally hides the largest amount of plaque. Adding some type of an oral rinse to your routine will be greatly beneficial to your oral health. Pick a soft bristle toothbrush that can slip under your gum tissue and dislodge any plaque stuck there. Brushing with a medium or hard model can cause your gums to recede and expose the surface of your tooth’s roots. Since the root surface isn’t as hard as the exposed enamel-covered part of your teeth, scrubbing this area can wear it away more easily and cause little cavities. Pick a soft bristle and change your toothbrush every couple of months. If you’ve been sick, swap out your brush immediately. Residual bacteria and viruses from an illness can cling to the brush and potentially re-infect you. Let’s face it – no one wants to hear they have bad breath. It is not only embarrassing but can cause problems with your social life. The best thing to do about bad breath is to find out why you have it. Sure, you can eat a lot of onions, but there are also reasons that can cause you to have chronic bad breath. Gum disease. Constant bad breath or a bad taste in the mouth may be a warning sign of gum (periodontal) disease. Gum disease is caused by the buildup of plaque on teeth. Bacteria cause the formation of toxins to form, which irritate the gums. If gum disease continues untreated, it can damage the gums and jawbone. Dental issues. Other dental causes of bad breath include poorly fitting dental appliances, yeast infections of the mouth, and dental cavities. Dry mouth. The medical condition dry mouth also can cause bad breath. Saliva is necessary to moisten the mouth, neutralize acids produced by plaque, and wash away dead cells that accumulate on the tongue, gums, and cheeks. If not removed, these cells decompose and can cause bad breath. Dry mouth may be a side effect of various medications, salivary gland problems, or continuous breathing through the mouth. Other health issues. Many other diseases and illnesses may cause bad breath, such as respiratory tract infections (pneumonia or bronchitis), chronic sinus infections, postnasal drip, diabetes, chronic acid reflux, and liver or kidney problems. If your dentist determines that your mouth is healthy and the odor is not of oral origin, you may be referred to your family doctor or to a specialist to determine the odor source and treatment plan. Dr. Yankowskas proudly accepts patients from Tyngsboro, Lowell, Nashua, Dracut, Chelmsford, Dunstable and all surrounding areas. Pinapples. Pineapples contain an enzyme called bromelain, which acts as a natural stain remover. Bromelain also helps break up plaque. Ginger. Ginger can protect against periodontal disease, an inflammatory process that causes the loss of bone and supportive connective tissue in your mouth. Carrots. Carrots contain vitamin A, which is needed for healthy tooth enamel. Eating them raw stimulates saliva, your mouth’s natural cleanser. Basil. Basil is a natural antibiotic that reduces bacteria in the mouth. Cheese. Cheese is rich in protein, calcium, and phosphorus, all of which help reduce acid in your mouth. Sesame seeds. Sesame seeds help “scrub” away the plaque on your teeth and contain bone and teeth-strengthening calcium. Mushrooms. Shiitake mushrooms contain a compound called lentinan, which inhibits bacteria from growing in your mouth. Onions. Onions contain the sulfur compounds, thiosulfinates and thiosulfonates, which reduce bacteria that cause tooth decay. Problem is, you have to eat them raw. Salmon. Salmon not only provides calcium but also vitamin D, another nutrient needed for healthy bones and teeth. Broccoli. Broccoli contains iron, which helps form an acid-resistant film or barrier that can protect the enamel of your teeth. It can be argued that a person’s smile is one of the first thing a person notices upon meeting, keeping our smiles bright and clean is something we should all make a priority. Unfortunately, it isn’t as easy as it seems. 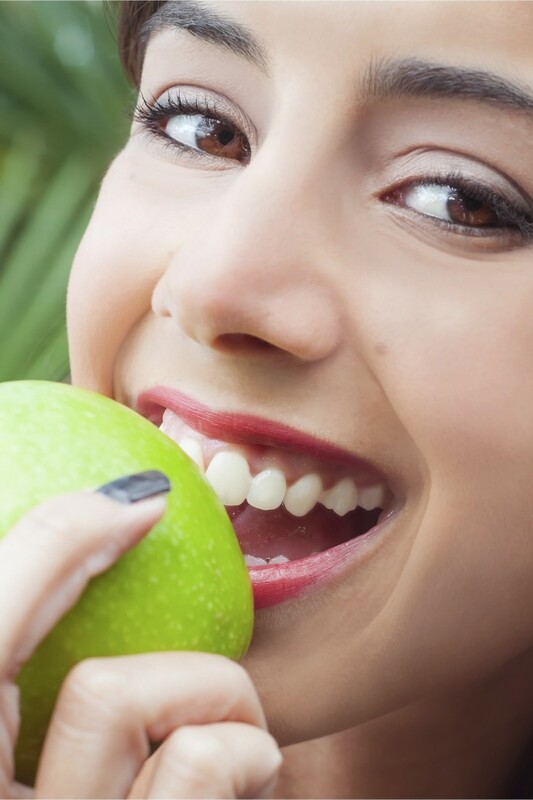 Diets, habits and other reasons can cause our teeth to become dingy over time. Brushing twice a day and flossing almost always works to improve your yellow teeth. But, in the times that they don’t, it’s time to consider other options. With the new year upon us, why not work better dental habits into your list of resolutions? Avoiding smoking will do wonders for your teeth, and health overall. So too will avoiding stain-causing beverages such as coffee and soda. Although, if it can’t be avoided, you can try to minimize the stains by drinking such beverages through a straw. Or, you can also try drinking milk or water after eating or drinking something acidic to reduce the acid’s eroding effect on the teeth. Avoiding snacks in between meals also helps give your saliva enough time to dilute the acids in your mouth. Of course, brushing and flossing remain the two most important things you can do to prevent yellow teeth and to maintain oral health. 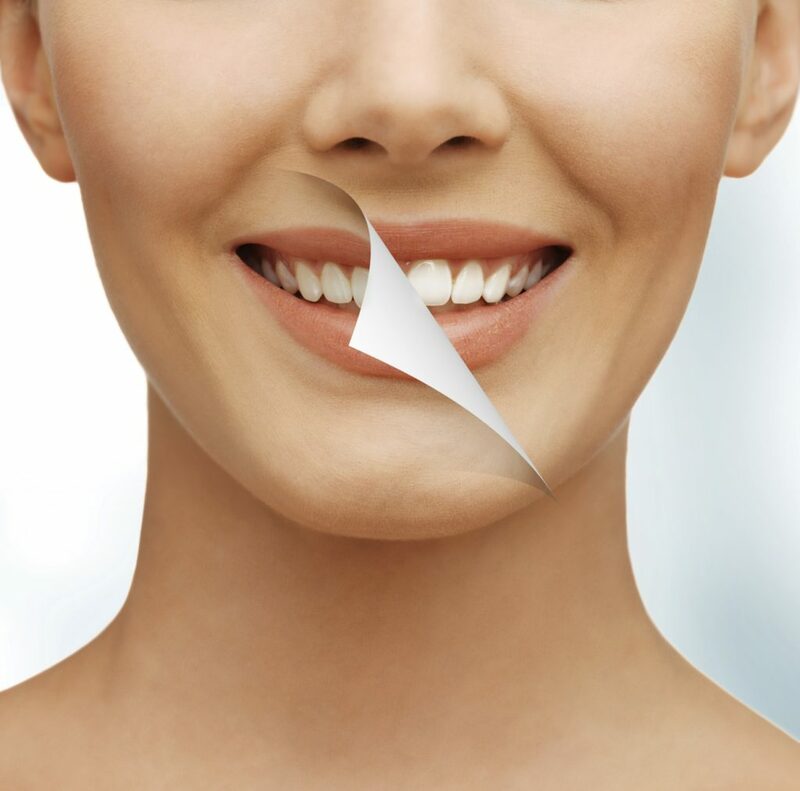 OTC products, such as whitening toothpastes, whitening trays and rinses, can all help whiten teeth by removing some of the stain build-up and providing a mild bleaching effect if properly used. If you need further advice to whiten your smile, ask your dentist. They can give you the proper advice on how to achieve the sparkly, white smile you’ve always wanted. Next time you go fishing for candy in that plastic pumpkin, let us offer a few suggestions for the ‘better’ choice in a sugar snack. Candy corn. Even though candy corn is a Halloween candy trademark, it is one of the worst Halloween candies for your teeth. Candy corn has lasting negative effects on your teeth because it has a high amount of sugar, which can lead to tooth decay. Caramel apples. Caramel apples are also a huge symbol of Halloween. However, as good tasting as they are, they are extremely bad for your teeth. Not only do they have a caramel coating that can get stuck in your teeth, but they also have a high amount of sugar that can cause tooth decay. Chewy candy. Starburst and gummy bears are great for a fruity treat, but are some of the worst candies for your teeth because it gets stuck in the crevices of your teeth, unable to be removed by your toothbrush alone. This can lead to tooth decay. Chocolate. Candy bars are one of the most popular items, but chocolates filled with caramel, cream, or coconut are bad for your teeth. They stick to your teeth like chewy candy, allowing bacteria to feed on it and cause tooth decay. When brushing your teeth after eating sugar isn’t an option, rinsing your mouth out with water is a good secondary option. Keep those teeth clean, no one wants to hear the word ‘cavity’ on your next visit!